-Portable and easy to use. -Save space when shipped or not used. -Car storage: put in your car, large storage space, to accommodate different goods, keep your car clean and uncluttered. -Outdoor : for outdoor picnics, can not only carry more things,Â also can act as a temporary table and stool, eat, play cards,Â bringsÂ Â Â conveniece and fun to your outdoor life. -Shopping cart: can Push or Â pull, easily usedÂ Â in supermarket orÂ buy vegetables in the market ,also streetÂ shopping . 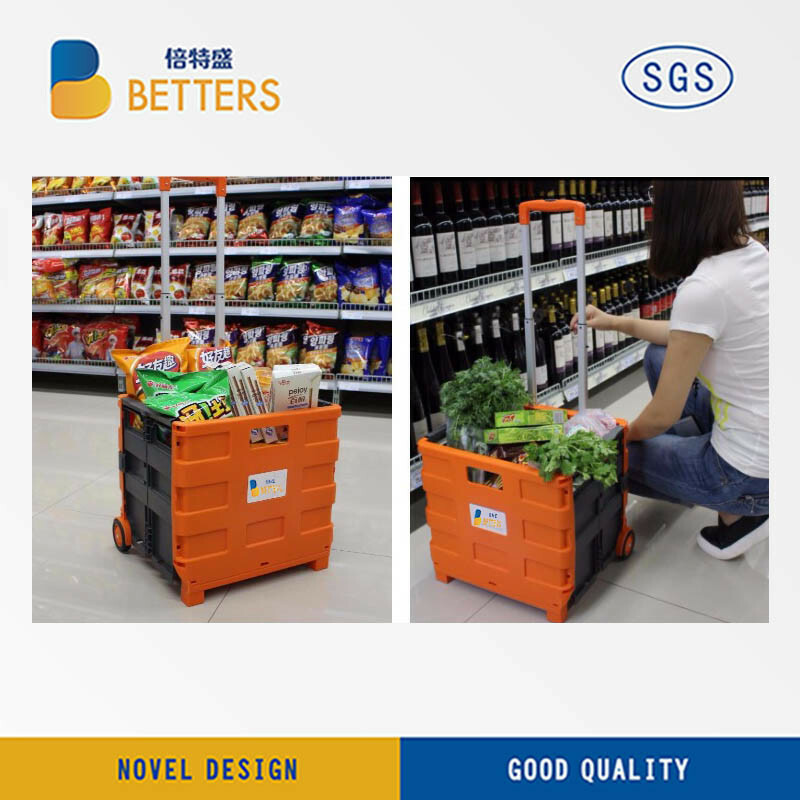 -Campus life: youthfulÂ school times,Â out to buy fruit, snacks,Â u would not have to worry about carringÂ large bags , if tired,Â have a rest on the cartÂ , when back to the dormitoryÂ , itÂ can act as a Storage Box, or fold upÂ thenÂ it willÂ not take up space. -Office use; it can accommodate files,Â booksÂ and other goods,Â then the wheels design makesÂ moving more convenient, improve the work efficiency. -The material for this trolley has passed test conducted by SGS. And it is no harm to human body.